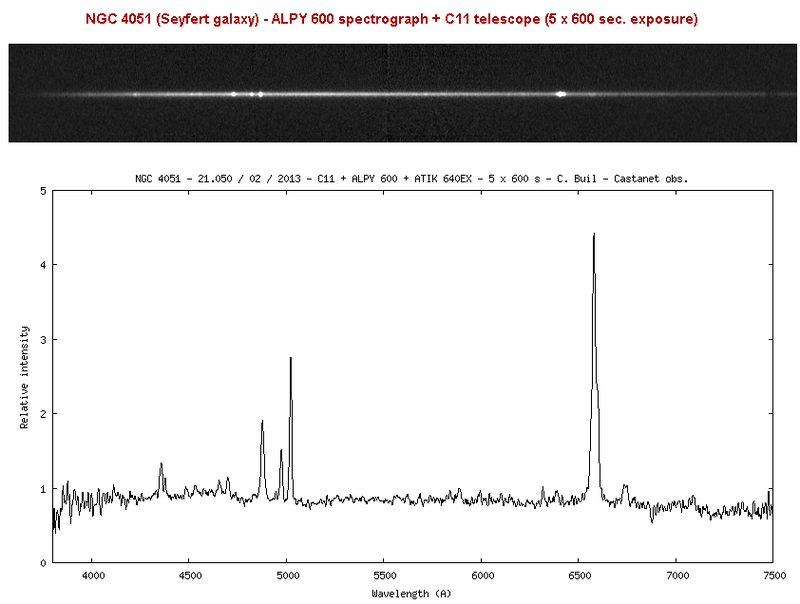 ALPY 600 is a new spectrograph from Shelyak. (with a spectral lamp and a flat-field lamp). because it is of great astrophysical interest). 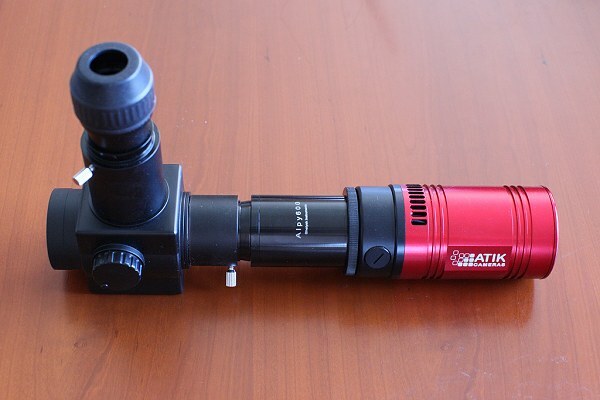 can be used with f/6, f/7,... f/10, ... telescope or refractor). 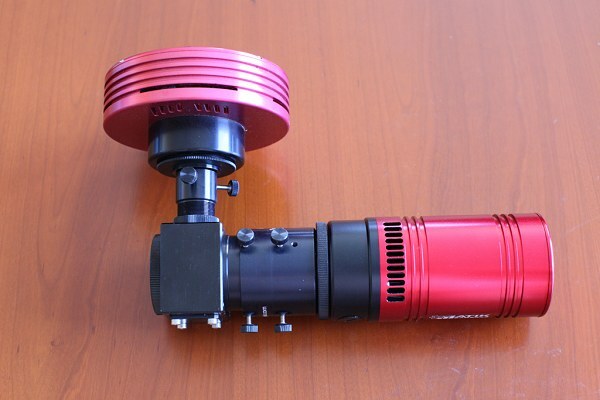 You can also adapt photographic objective lens! 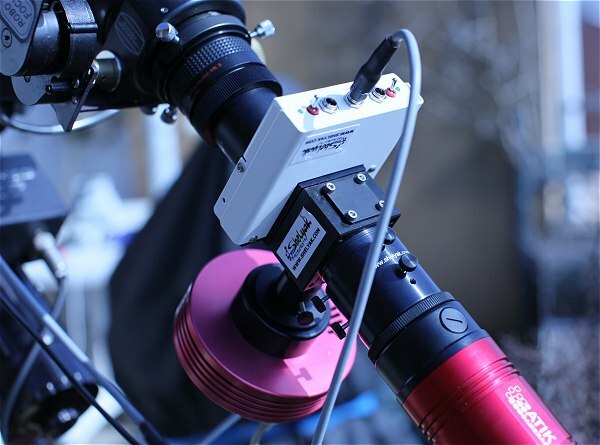 is essential for faint object spectrography). easily measured (a typical educational project!). 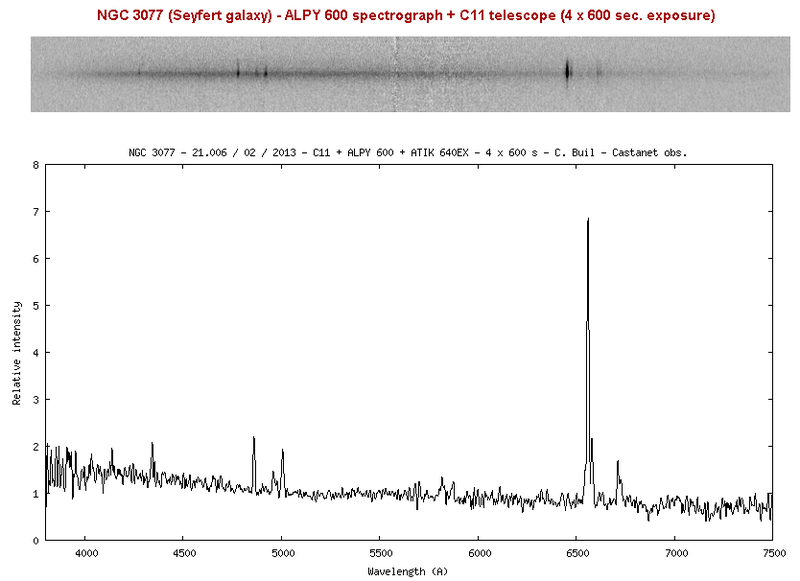 Christian Buil wrote: ALPY 600 is a new spectrograph from Shelyak. 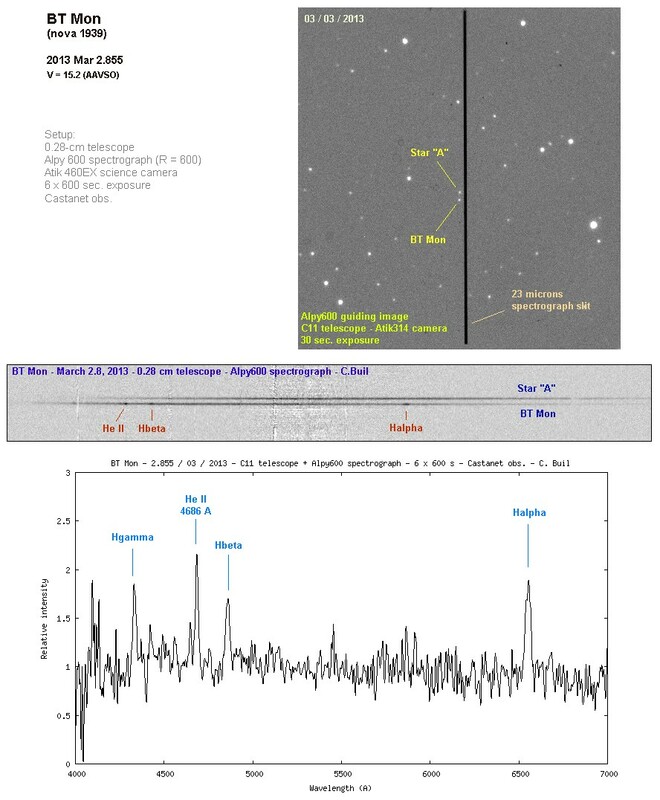 Christian - The main issue with replacing standard phtometry is that you are in efect doing "all sky photometry" as you image one star at a time, where as with filters and an areal CCD detctor you can do" differential photometry" as you can with a star spectroscope. As your discusion with Robin on the recent asteroid spectra shows matching the spectra observer to observer is quite difficult even for the leading experts! 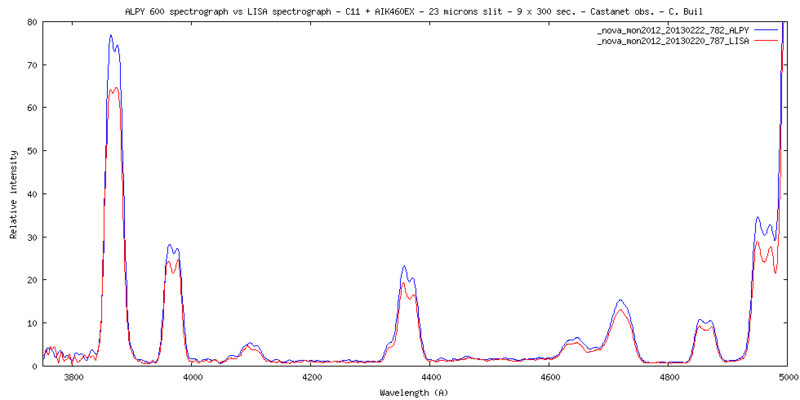 I think your new spectrograph and the SA both have a role to play and it is a welcome addition. 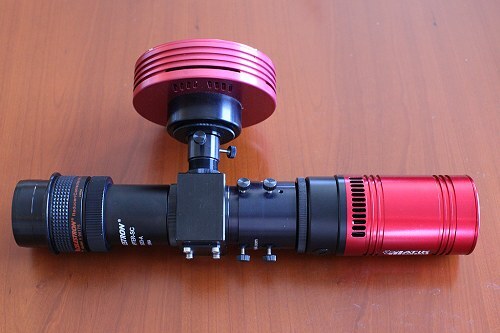 amateur spectrophotometry. 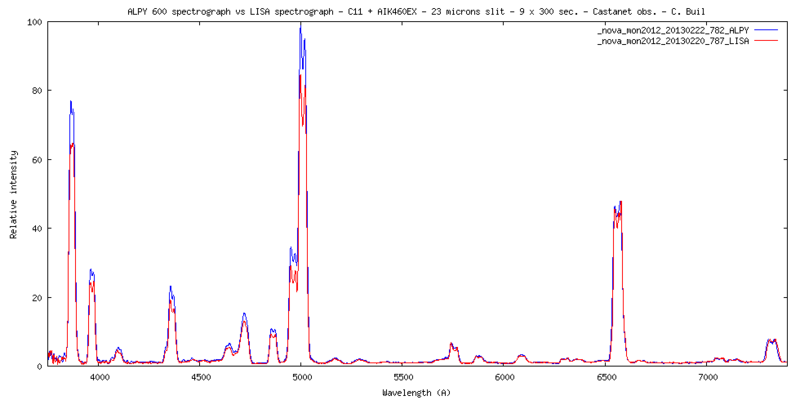 It is demonstrated with LISA spectrograph for example. account the atmosphere transmission...). This will be the subject of a future post. 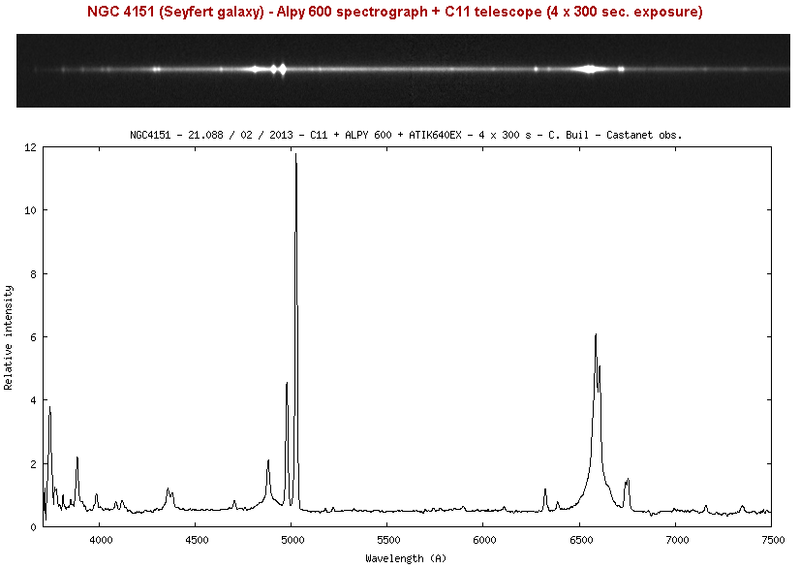 Below new spectra of active galaxies. NGC 3077 is a compagnon of M81/ M82 group. Pourrais-tu nous montrer des spectres obtenus sans la fente ? Par rapport au LISA est-ce que tu arrives à obtenir des objets encore plus faibles? very similar for both cases. The nova is at V=12 during the observation. Cela étant, comme tu le fais remarquer, les raies de Nova Mon 2012 sont naturellement très larges. Le véritable test consistera à comparer les spectres d'une nébuleuse planétaire et de voir comment H gamma et [OIII] 4363 d'une part, [SII] 6716 et 6730 d'autre part sont séparés. I am interested in the relative efficiency of the two instruments. 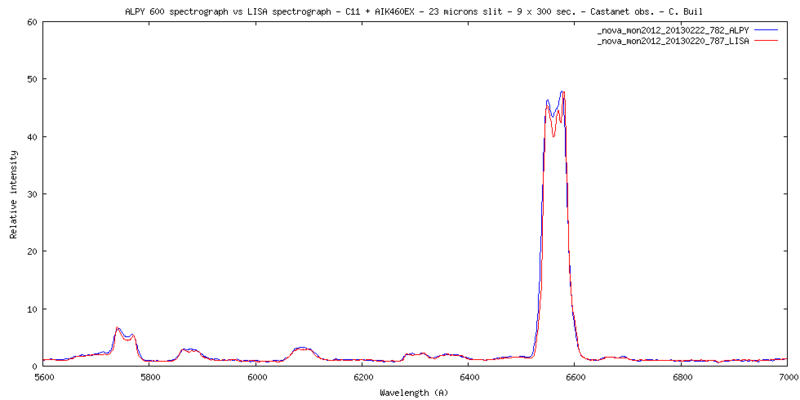 Are these spectra individually scaled to the continuum or do they show the true relative flux for the two instruments? 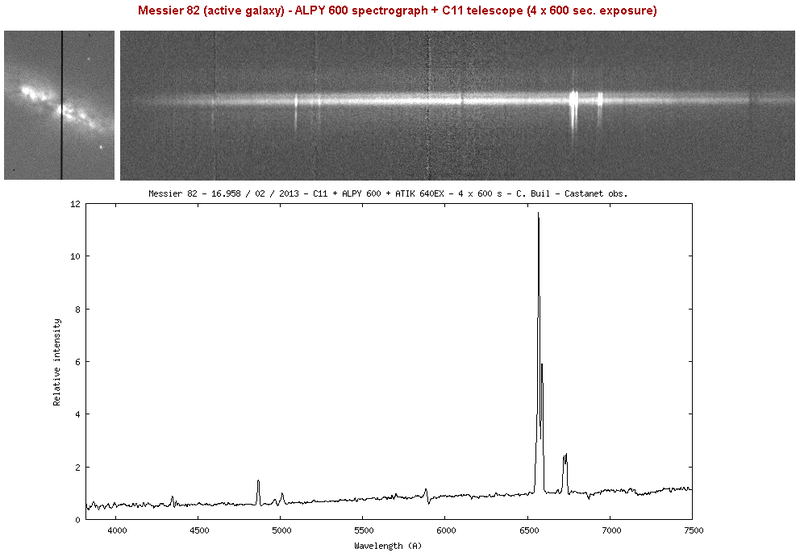 Each spectra are scaled to unity intensity near 6750 A. The absolute efficiency is not easy to evaluate and to compare (resolution is not the same, also dispersion). 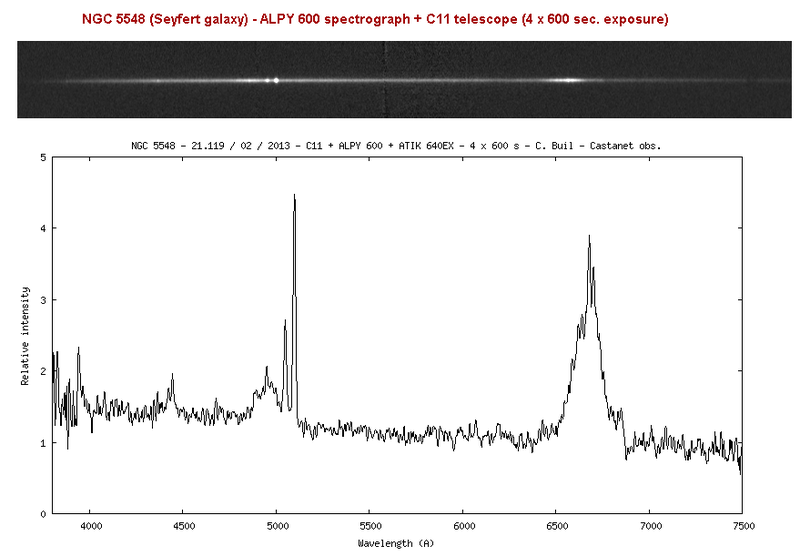 Noise is equivalent between the two spectra, but remember that the spectral resolution is lower for Alpy. ALPY efficiency is probably a little less than LISA, but still very honest. It takes a little time for most accurate results. 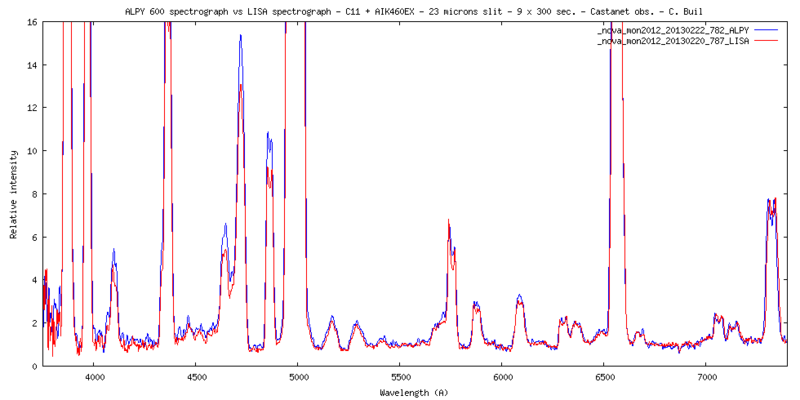 Here a more representative resolution test concerning planetary emission lines (23 microns slit). 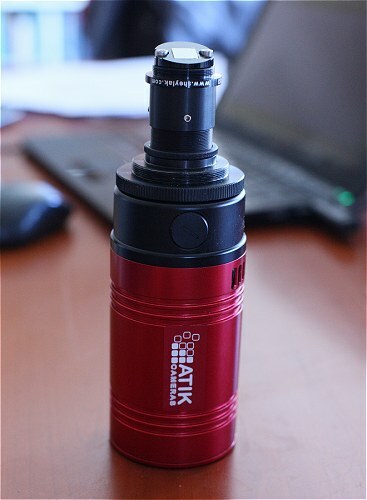 Note the [S II] doublet easy to separate with LISA, and at the limit with ALPY 600. Remember also that LISA spectrograph act as a focal reducer (X 0.62), which makes it more efficient on faint extended objects or more efficient on large telescopes. ALPLY is not a competitor of LISA. 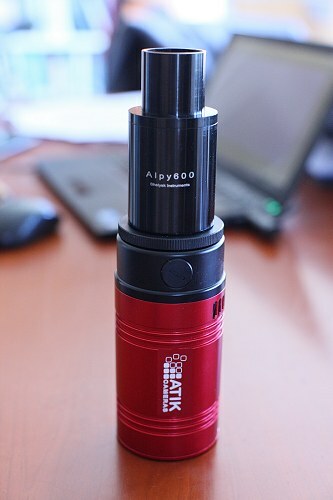 The interest of ALPY 600 is elsewhere.